Ski or snowshoe run a well marked 50k course in the stark beauty of the sub-arctic landscape surrounding Yellowknife, NWT. Bundle up, the event is credited as one of the coldest runs in Canada by Canadian Running Magazine! We embrace winter! And we would like to help you make the most of this winter with the Frostbite 50. 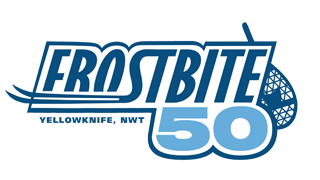 The Frostbite 50 is a 50 km continuous snowshoe or classic ski event on ungroomed trails near Yellowknife, NWT. Participate solo or as a team of up to five participants. There are four road-accessible checkpoints, and participants are welcome to have support along the way. This is an event, not a race, and there are no prizes for first place. We want winter lovers of all abilities to join us, and for everyone to have fun and finish safely.